Those of you who follow me on Facebook know of my love for everything FixerUpper. 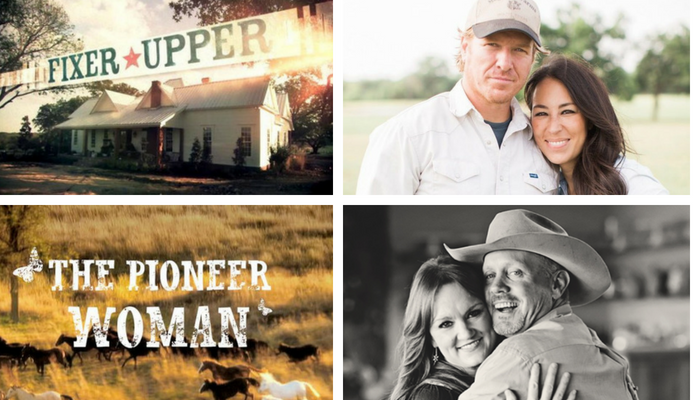 I fell head-over-heels in love with Chip and Joanna Gaines when their show, FixerUpper, premiered on HGTV five years ago, and am in awe of all the incredible publicity they have brought to Waco, TX. Now, when Waco, TX, is mentioned, the first thing people think about is Chip and Joanna, rather than the Branch Davidian cult, which has long been Waco’s unfortunate claim to fame. Due to the popularity of their television show, they went from a couple of unknown house-flippers to national acclaim in a very short period of time. Despite all of their fame and assumed fortune, they appear to have remained pretty regular, down-to-earth people who recently decided to step down from their television program to spend more time with their kids. With a fifth child due later this year, I don’t blame them. It’s hard for me to imagine how they keep all those balls in the air — Magnolia Realty, Magnolia Construction and Design, The Shops as the Silos, the new breakfast restaurant, the B&B, Joanna’s magazine and her furniture and paint lines. Wow, I get tired just making the list! Ree Drummond, aka The Pioneer Woman, is making similar waves in itty-bitty Pawhuska, OK. In addition to filming her Food Network show, The Pioneer Woman, on her ranch, she and her husband, Ladd, have recently opened a retail store and deli, The Mercantile, and a hotel, The Boarding House. She also has a magazine, a number of cookbooks and a series of children’s books, as well as a line of cookware and accessories with Walmart. And, next on the horizon seems to be a pizza joint and a steakhouse, both in Pawhuska, as well. All of that is in addition to the fact that they own one of the largest, if not the largest, cattle operations in OK.
Ree and Ladd, just like the Gaineses, seem to have maintained their regular down-to-earth attitude as well. I haven’t had the pleasure of meeting any of them, but I do feel as though they are my BFFs since I have spent so much time watching their television shows. I know the names of their kids, their family members, and their pets. It’s surprising how much you can learn about someone you don’t know IRL. All of us have the ability to shine and become a celebrity, at least in our own backyards. You might not be able to draw in the crowds like the Gaineses or the Drummonds, but you can create your own fame among your customers and clients. The easiest way to do this is with your own book. Having a short one-problem, one-solution book is a magic elixir of evergreen lead generation for your business for years to come, if you use it properly and position it correctly. Once you see your name on the cover, you’ll wonder why you didn’t do this sooner!